Ivory Coast goes to the polls on Sunday to vote on constitutional changes that President Alassane Ouattara says will help to end years of instability and unrest linked to the vexed issue of “Ivorian-ness”. The draft constitution put forward by Ouattara – which parliament overwhelmingly approved earlier this week – would also create a vice president picked by the president and a senate, a third of whom would be nominated by the head of state. The controversial package of changes has succeeded in both alarming opposition leaders and leaving much of the electorate confused. Witnesses say Nigerian troops shot a man with explosives strapped to his torso trying to enter a refugee camp in northeastern Maiduguri city where another suicide bomber killed five people the day before. Resident Abubakar Gajibo said he saw the bomber walking towards the camp “clearly displaying the strapped explosives on his body”. He said they alerted soldiers who asked the man to surrender and fired when he ran. One explosive blew up and a second was safely detonated. PM Netanyahu shut down discussion of the so-called “Amona law” on Sunday at the weekly gathering of the ministerial committee, just minutes before the bill was set to be voted on. The bill, which has been pushed by the Jewish Home and some members of the Likud, would normalize Jewish communities in Judea and Samaria such as Amona, providing compensation in money or alternative land to claimants, shielding the residents from ex post facto claims on the land where their homes were built. Attorney General Avichai Mandelblit opposes the legislation, and Prime Minister Netanyahu has called for alternative solutions for the embattled town of Amona, which is slated for demolition by year’s end. Three Israelis were lightly wounded on Sunday when an Arab terrorist rammed into a group of Border Police officers near the village of Beit Ummar in the Gush Etzion area south of Jerusalem. The terrorist responsible for the attack was shot and neutralized by Israeli forces at the scene. He later died of his injuries. All three of the wounded Border Police officers were treated at the scene by army paramedics and MDA emergency responders. They were subsequently evacuated to a local hospital. The trade ministers of South Korea, Japan and China held an annual trilateral meeting in Tokyo on Saturday during which they agreed to jointly deal with protectionism amid the global economic downturn, officials said. South Korea’s Trade Minister Joo Hyung-hwan and his Japanese and Chinese counterparts – Hiroshige Seko and Gao Hucheng – also expressed worries about a rise in protectionism. Russian Defense Ministry asserted that terrorists in Aleppo show no sign of de-escalating attacks on residential areas and humanitarian corridors. Commenting on the development of the Russian humanitarian pause, established on October 20 to secure the release of civilians via six specially-created escape routes, the Russian Defense Ministry noted that on Saturday night only 12 Syrians had managed to flee east Aleppo. The MoD noted that terrorists in Aleppo continue to intensively shell the residential areas and humanitarian corridors. The humanitarian pause is the only lifeline extended to civilians in east Aleppo, as the Russian and Syrian Air Forces continue to observe a no-fly-zone over Aleppo, staying at least 10km from the city. On Saturday, Russian Center for reconciliation of the warring parties in Syria said in its daily news bulletin posted on the Russian Defense Ministry’s official website, that 40 ceasefire violations by illegal armed groups, which have announced joining the regime of cessation of hostilities have been registered in the past 24 hours in Syria. On Saturday, at 1:15pm, the Embassy of the Russian Federation in the city of Damascus came under mortar fire. Moreover, militants of the Jabhat Fateh al-Sham group used a suicide bomber vehicle against government troops in Aleppo’s Hay al-Ansari district. Five soldiers were killed and seven more wounded in the attack. Russia’s Aerospace Force and Syria’s Air Force have not been delivering strikes on opposition armed units that had announced the cessation of hostilities and reported their location to the Russian or US reconciliation centers. 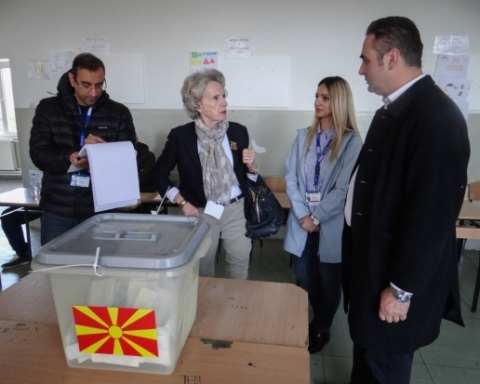 The largest Macedonian NGO for the monitoring of elections, MOST with over 3300 monitors will observe the 11 elections in FYROM. The head of this organization, Darko Aleksov said that preparations have started for the monitoring of the process of the preparation for the elections. A senior Egyptian military officer, Col. Rami Hassanein, and one soldier were killed Oct. 29 in a targeted roadside bomb attack outside Sheikh Zuweid in the northern Sinai peninsula, Reuters reported. Two soldiers were also injured. The remote region is home to numerous militant factions, some with ties to the Islamic State. Meanwhile, Egypt’s government is embroiled in controversy over austerity measures, ratcheting up political instability in core areas.